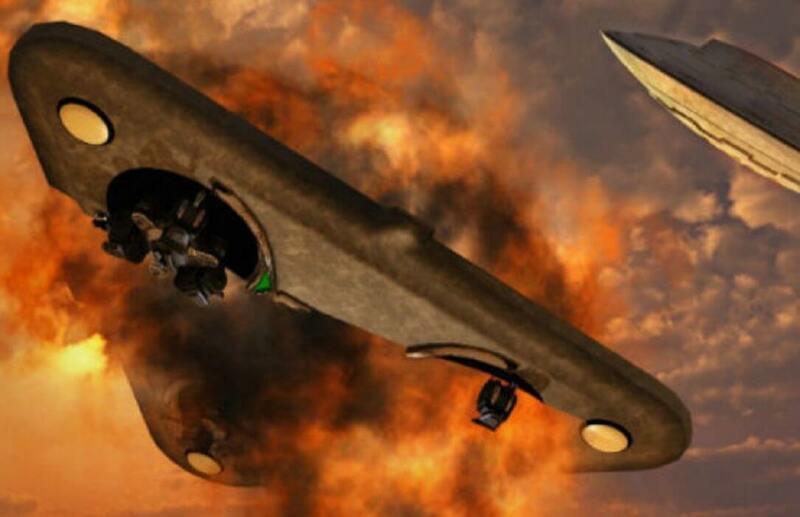 RUSSIAN military shot down a UFO before they were attacked and killed by the surviving aliens, it is sensationally claimed in a declassified CIA report. The shocking report, which includes claims that 23 soldiers were turned into stone by the aliens in the UFO after they transformed into a ball of light, was buried among thousands of declassified files published online by the US intelligence agency. The report in question, created on March 27 1993, is a translation by the CIA of a report from the Ukrainian newspaper Ternopil vechirniy. The newspaper report said that after Mikhail Gorbachev lost power in 1991, many KGB files made their way to the CIA, including an alleged 250-page dossier on the bizarre UFO attack, which included pictures and witness testimonies. The report suggested that a low flying flying saucer had appeared over a military unit in training in Siberia, before one of the soldiers fired a surface to air missile, bringing it down. Two soldiers are said to have survived, who described how, after emerging from the debris, the five beings merged into a brilliant white spherical ball of light that buzzed and hissed. It then exploded, and as it did 23 soldiers who stood watching were turned into stone, the report claimed. The two survivors had been in a shaded area, it said. The report said: “The KGB report goes on to say that the remains of the ‘petrified soldiers’ were transferred to a secret research institution near Moscow. “Specialists assume that a source of energy still unknown to Earthlings instantly changed the structure of the soldiers living organisms, having transformed it into a substance whose molecular structure was no different to limestone. “A CIA representative stated: ‘if the KGB file corresponds to reality, this is an extremely menacing case. However, the translated newspaper report contained in the declassified CIA file said the source of the information had come from the Canadian Weekly World News, which was known at the time for publishing outlandish and fictional news headlines.